Internationalisation of the contemporary university has become a pervasive and powerful development theme during the past three decades. In many countries, higher education is now a major export industry. The UK has longstanding experience of overseas student recruitment, international partnerships between universities and trans-national education. It has led the world in the development of the quality assurance of overseas activities. This collection of essays brings together articles published in the journal of the UK Association of University Administrators (AUA). Several of the pieces are members of AUA whilst others are by authors who work in other countries. 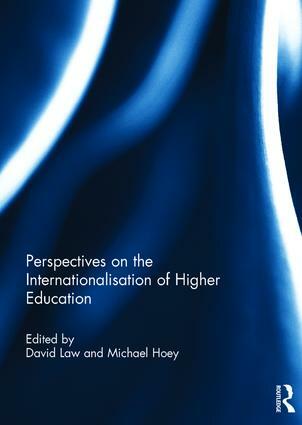 Overall, in this volume, there is a practitioner focus that provides the reader with lessons learnt by those with experience of implementing policies to promote the internationalisation of higher education. We are interested both in how universities can manage the challenges that they face, and in how the experience of students can be enhanced by participation in internationalisation. Because the AUA has an enduring commitment to the professionalization of management and administration, readers of this anthology will find accessible, focussed and brief articles that are solution-oriented. This book was originally published as a special issue of Perspectives: Policy and Practise in Higher Education. 13. A ‘special relationship’ in higher education? What influence might the US higher education sector have in terms of support for international students in the UK? David Law, formerly Pro-Vice-Chancellor (PVC) (Students and External), retired from full-time employment at Edge Hill University in 2012 and then was Director of the Edge Hill Confucius Institute for two years. His academic interests are in the history of China and the internationalisation of higher education. Michael Hoey is Emeritus Professor of English Language at the University of Liverpool, UK, where he has worked for 22 years. Since 2007, he has been successively Dean of the Faculty of Arts, Director of Curriculum Development, Pro-Vice-Chancellor for Internationalisation and Director of the Liverpool Confucius Institute.